Your basket is empty. Use Add to Basket to add a product to your basket. 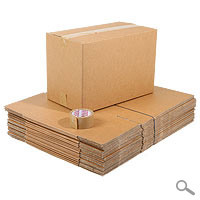 L = 18"(450mm) W = 10"
All our Cheap Cardboard Boxes, moving boxes and packing materials are very competitively priced and we are the market leader in bringing the very best cardboard boxes at the lowest price.